Days before Madison Scott’s 13th birthday, Hurricane Matthew struck North Carolina bringing dreadful floods and winds to the city of Lumberton. A Category 5 hurricane is not the way you want to begin your teenage years. However, for Madison, this was the reality of the situation, as she anticipated a lack of celebration due to the storm. That was until she met Sergeant Francisco “Josh” Hernandez of the North Carolina National Guard and his team. 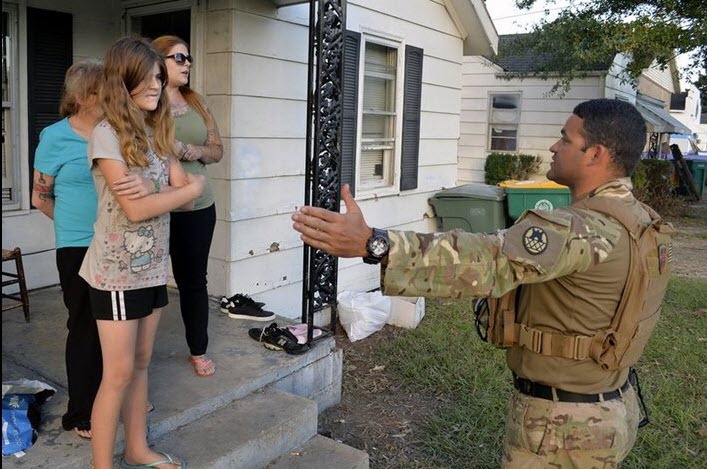 Josh Hernandez, a Delivery Manager at The Select Group on our National Delivery Team, and his team first met the Scott family while supporting local law enforcement officers and patrolling the area earlier that week during the storm. It was there they learned of Madison’s birthday during the significant floods beginning to take place in Lumberton, N.C.
Hernandez recalled Madison saying, “The worst thing about today is that it’s my 13th birthday.” Instantly, all four of them agreed there was no way a girl entering her teens should have to spend her birthday like this. Josh Hernandez continues to impact the lives of those around him, not only as a Sergeant in the N.C. National Guard but towards many of his teammates here at The Select Group. We are truly thankful to have Josh as a part of The Select Group family and for his service to our Country.